On January 1, 2018, the California Department of Pesticide Regulation implemented a new, statewide regulation to protect children at school from agricultural pesticide exposure. 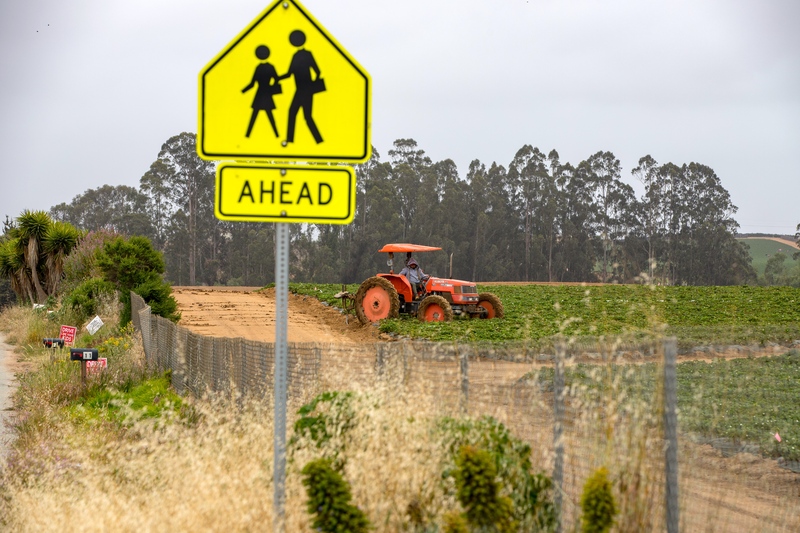 Among the provisions of the new regulation are a prohibition of the most drift-prone pesticide application methods within a quarter-mile of public schools and daycares from 6am to 6pm, Monday to Friday. No fumigant use is permitted within 36 hours prior to the start of a schoolday. And schools must receive annual notification of any planned pesticide use within the quarter mile buffer zone. The notification requirement was significantly watered down under pressure from industry, fearing that fully-informed parents would pose a grave threat to profits. The annual list of planned pesticide use is provided to a single administrator at each school and daycare via a password-protected portal. CPR has filed Public Records Act requests to make this information fully public.